Let us try and take control of our lives TODAY. No-one is ever capable of changing us other than ourselves. It is truly up to us to implement ways and techniques in our lives that will enable us to feel and be happier, more fulfilled, to accept ourselves for who we are, find inner peace and let go of the things that influence us negatively. Make a bucket list. This is exciting. Write down all the things you would like to do in this lifetime. It could be anything from learning how to dance to climbing mount Everest. After creating your list, break each one of those points into smaller achievable tasks that will lead you towards completing them. For example, the first step into learning how to dance is to find the nearest dance school to your house and enroll. Achieving the goals in your bucket list is easier than you think. Start today. Learn to respect and listen to your body and mind. Most of us, take our bodies for granted and when the warning signals start kicking in, we usually ignore them. It is an easy, most of the times, task as long as you are ready to respect your body’s signs. Sleep when you feel sleepy, rest when you are tired and stop eating when you feel full. Sometimes it might be easier said than done but you have to start off somewhere. Our brains send us distressing signals that are translated by our bodies; make an effort to listen in. You will feel happier and healthier in the process. Get out more. The destination is not important; the journey is. It doesn’t really matter if you just get out of your home routine to go to the local shop around the corner, to the park for a walk or just to a friend’s house for coffee. It is so easy to get stuck in a situation where your back garden is the only outing of your day. If you have children, take them out with you for a walk when the weather is nice. You will all enjoy the fresh air, practice your smile with the locals and introduce some activity to your day. Learn a new language. Sounds boring and difficult? It is actually quite easy when you don’t have deadlines for essays and school reports to worry about. In your own time and in a relaxing pace that skill could be quite useful. 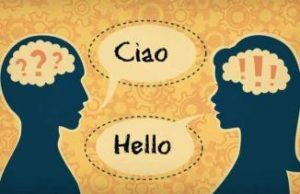 Studies have also shown that bilinguals are better at solving problems that involve focusing on relevant information while ignoring irrelevant information. Even people who are 60 or 70 years of age demonstrate these kinds of advantages. Bilingual children are capable of switching from one activity to another faster and are much better at multitasking than monolinguals. Bilinguals have also increased mental flexibility and creativity. When you learn there is more than one word for an object, it stretches the mind in new ways and gives people greater mental flexibility and creativity as they have two windows through which they view the world. With so many benefits and more, the drawbacks are so few, that are not even worth considering. There are now many free programs online and languages to choose from. Buona fortuna! Be realistic. You might think you are setting yourself realistic goals but you actually aren’t. The majority of people who fail to see their New Year’s resolutions through, have done so due to the impracticality of these goals. You need to set a goal, its results you can see every day! Committing to one behavior every day, automatically becomes doable and there is no need for you to wait a whole year for an outcome. Keep notes of your successes and failures and you will learn what triggers your positive and negative attitudes. For a beginners guide to creating realistic changes in your life, read more here. Don’t be ignorant. People around the world are desperately trying to raise awareness on sensitive health or societal problems that others know nothing about or tend to ignore. And unless some of those issues involve us or someone we care about, we are not usually interested in learning anything about them. Although, this is the norm for most, we can change that. You will feel good reading up about a rare disease you are not aware of or getting involved with a local fundraiser aiming to help people with special needs. 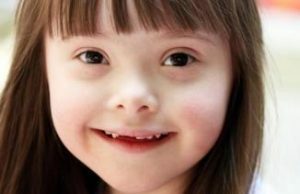 To start with, educate yourself with conditions such as Aniridia, Down Syndrome and Autism. By understanding a bit more about their daily reality, we can end the prejudice and unfair treatment these people receive from our society. Learn about Endometriosis, the truth about saturated fats in our diet, learn how to protect yourself from the yo-yo diets, the dangers of sunbeds and become a blood donor. Don’t be arrogant. Having self-worth, self-value and respect for yourself does NOT make you arrogant. However, the line between confidence and arrogance is fine and fragile so be aware not to cross it. “Arrogant people could care less about others. They’re only interested in themselves. The arrogant person will constantly be looking past you for someone else to talk to – someone they think will benefit them more than you. Arrogant people can’t fess up to their own mistakes, they always have it worse than everyone else or have done something better than someone else, and put people down”, Carmine Gallo. Give money to people in need. 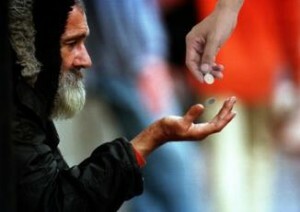 Whether you believe in karma, God or both, giving money to those in need is always a good thing. The amount is of no importance; the act is what matters. You might, also, find yourselves in a difficult time at some point in your life, or you have been there already so you know first hand how uncomfortable and devastatingly needy that time is. Give and you will receive; maybe not in materialistic value but in good, positive feelings and inner peace. Don’t become the person you hate the most. You know when we always complain when someone is not honest with us, or has been unfaithful, or even about a friend who gossips behind our backs? We, women, grumble at men who hurt us and men always moan about women being bitchy and self centered. Let’s NOT become those people ourselves. Be nice to others, be honest to everyone, be a good friend and a straightforward girlfriend. Make kindness a way of life, be humble and most of all, insert love into everything you do.